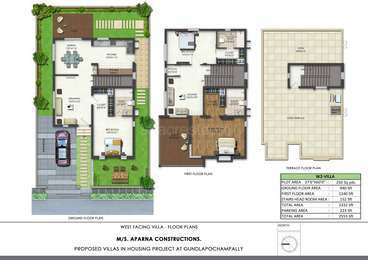 Lavish, is the only way to describe these beautiful 3BHK villas situated in Gundlapochampalli, Hyderabad. Aparna Kanopy Lotus built by Aparna Constructions and Estates have everything that you will ever expect in a true luxury accommodation. Extended over a wide area, its architecture and attention to detail, put them in a class by themselves. Where is Aparna Kanopy Lotus located? 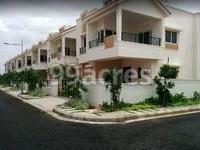 Gundlapochampalli, a prime residential locality for house seekers in Hyderabad. How many units are available in Aparna Kanopy Lotus?The project has a total of 75 units. Does Aparna Kanopy Lotus have kids play area? Yes the project has kids play area. Is there a club house in Aparna Kanopy Lotus? Yes the project has a Club House. truction. The builder is the first in the market to showcase its innovative designs in construction business. Aparna Builders not only build houses, but it also creates a space that gives a meaningful life to its customers. 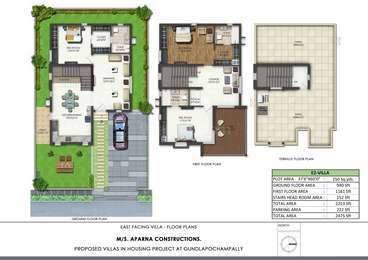 The strength of Aparna Constructions and Estates exists in its experience, skills and dedication to deliver the best. How is the construction quality and the connectivity to essentials and schools nearby? Are there problems with general water connection, water logging in or around the premises during monsoons? How is connectivity to Pocharam and Ghatkesar?